Well said. Both of my parents have passed away, but I hope my children will be wiser for reading this. A parent's age never causes them to be useless. They are the only people in the world who will always love you unconditionally. You are never useless! You will always be a source of wisdom, love and encouragement! Get excited about the possibilities of service to others. If I could turn back time; I would hug my parents and tell them how much I love them and miss them so much, may God keep them in his golden home enjoying themselves alone with my 2 brothers and my sister. I love you all for ever, please be happy!!! when your parents are old you need to spend as much time as you can with them . they look forward to seeing you because they don't see many of there friends any more.so when you visit them you make there day. so please don't seeing your parents. I like my kids, Emily and James, to read this. They have me blocked. It is a very cruel thing to do; blocking off a parent. Children forget the struggles and sacrifices father and mother went through bringing them up. A friend's son got educated through a blessing of a govrnment scholarship to university. Feeling that he owed nothing to his father, his action of turning against them is a reflection of ingratitude a dog finds hard to understand. Respect the age. We are also going to be old tomorrow. I just recently lost my Mom, I would let her ask me the same qquestion again like she did. I always thought, I hope that someday someone would let me too. I would hope they would be patience. I have lost my both parents but no regret, ihave show my very best for them in my little way i have said how i love and thank them for every thing that they have done to my life, and not for both of them i was in this place i belong today THANK YOU FOR EVERY THING. The father had to explain to his son because the son did not know that its called a crow. But now the father knows what its called, still he is asking the same question. I know the thought behind this story is very nice, but just be a little creative next time to spread your message. The father apparently had memory issues. It is certainly not uncommon for elderly parents to repeat the same question over and over again. How you answer them is your measure as a human being. Many, many elderly people have problems with memory, especially short term memory. They will ask the same question over and over again, simply because they don't remember what you just told them. How you respond to them is your measure as a respectful and loving human being. One of the points is that the father knows that "it" is a crow, but his memory has faded. I am 79 years young and many times I cannot remember if I ate breakfast, or fed the dogs etc. Patience is requirement with our children and with our parents. Good reply. If they are luck enough to live that long, they may be in the same "boat" that we are in. I like one of the responses that parents taught their children how to use a spoon - Now they shouldn't mind teaching us how to "save" a document. My children taught me how to do Christmas card labels on the old computer - this new computer doesn't do it the same way so I am just running a copy of last year's label sheet. Really, anonymous. You may think you're smarter, but you're really just a dumbass. What of your patents abused you and didn't show you love? I am sorry for your abuse. It can leave scars that last throughout your life. If you dwell on that abuse it will fester. Try to forgive them for their ignorance in failing to show you love. Break the cycle and show your love throughout your life. Doing good things forever brings a smile to your face. I wish my 26 year old daughter would read this. I am 57 years old not everyone had a parent such as this. I remember my mothers words "I hate you and wish you had never been born." Today I care for her still not because she loved me or cared for me but because I love her. You will be blessed because of it....honor thy mother and thy father that thy days on this earth may be long. my mom has early dementia and will ask the same question 4 or 5 times in 10 minutes, myself and my dad are very patient and loving to her, but thank you for this story as it really does put it into perspective. gary houck. very true,remenber "TIME IS A THIEF; LIFE IS SO BRIEF. Thank you very much for posting this. ito ay para sa nakakatanda kong kapatid, basahin mo ang storia na ito sana maisip mo kong ano ang ginawa mo sa magulang mo. Great Story Hope this is an eye opener for the present day generation. That's right, we should love our parents, but it needs a lot of patience and endurance to take care of them. It is easy to be nice when one only visits one's parents once in a while. I sympathize with those who look after their parents every day. Sometimes I think I would die before her. This is ringing really close to home right now! I have lots of good qualities, but patience, is not my best. I know I need to work on this with my mom. Caregiving is a very exhaustive, but ultimately rewarding undertaking. It's the little things that trip you up, the questions, the phone calls asking the same thing, etc. But I will try to do better, that's a promise I make to myself. My own mom did this in her last years of life, and I, too, had problems with my patience... My wife took me aside one day and said, "Just treat each question as if it's the first time she asks it - because, to her, it is". It took a little while to let go of viewing the questions as something I was dealing with, to things she was dealing with, but when I finally got it down I was able to be more patient with her. She died last October. I'm glad that I don't carry a load of guilt around about how badly I treated the one who brought me through all the things a child goes through throughout life. I understand that not everyone has had good relationships with their parents... I wish they had. I am just so grateful to have been born to a mother and father who loved my 3 brothers and me so unconditionally, and who imparted that legacy of love of family unto all 4 of us. Oh for a visit !!! 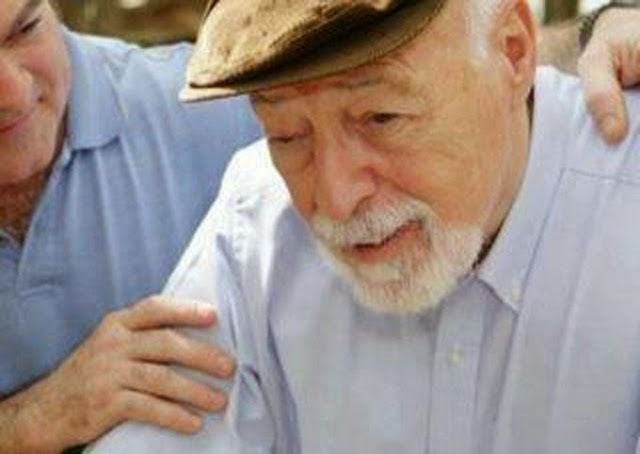 Gr8 We should not ignore ever our aged parents any time .they are GOD for us. By their only good wishes and Blessings we have reached upto this place. Really very heart touching story indeed. What if your parents are genuinely annoying, degrading, emotionally & physically abusive? How is it not a measure of your humanness to acknowledge and express your genuine feelings. Since when does being a parent justify operating within a manufactured, illusion-based relationship with your fellow human beings/children? To answer your question directly, there is never a "justification" for treating others poorly--parent to child, child to parent, etc. It is also clear that 2 wrongs do not make a right. So treating someone badly in "retaliation" for being treated poorly is certainly not the answer. Holding a grudge is not the answer either--you wind up old and bitter, with an ugly personality. If you know someone has treated you poorly, it is not always the answer to respond. Indeed, knowledge may be knowing a thing, but wisdom is knowing whether to say or share that idea/thought thing. Some things are better left unsaid, and indeed there is a power and inner strength that we acquire by allowing negative energy to die within us, as opposed to the easier, weaker approach of blurting out negative energy in response to receiving it. I went through a very ugly divorce- I have 3 sons and 2 of them sided with their father. They deleted me from their lives- One has two daughters and I am not allowed at any of the family functions and haven't even met one granddaughter. We sent toys and clothes for them for xmas and we never get a reeponse. I have no idea about trying to change the situation when neither will speak with me. Most (notice I said most & not all) people parent as they were parented. Parenting doesn't only mean our children, but also our parents as they age. For with age all of us will eventually revert back to that young child stage. A stage of needing help feeding, dressing & asking that same question hundreds of times a day. Just as YOU did when you were young. Think back as to how you treated your own children when they were young instead of trying to justify why you should treat aging parents poorly. Think about it. Of course, not all fathers are kind and patient like the one with the diary in this story. Some are abusive monsters that beat their sons, cripple them and abuse them emotionally and psychologically. Those fathers DO NOT DESERVE ANY RESPECT AT ALL. Sir can I make a short film on this. If you're permission. I wish my parents had the chance to reach old age. I lost my mom at 7 and my dad at 30. Sometimes life isn't fair.